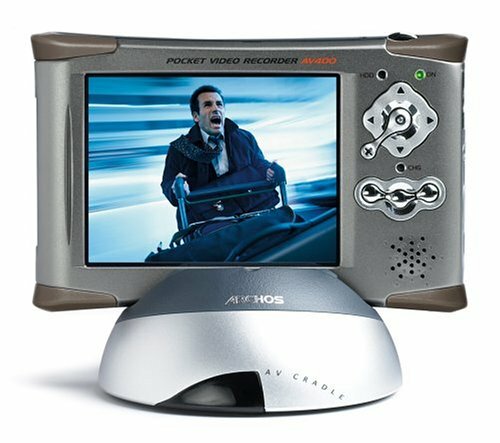 The 20 GB Archos Pocket Video Recorder AV420 is the ultimate handheld digital video recorder that offers TV recording and a portable home entertainment center in one pocket-sized device. 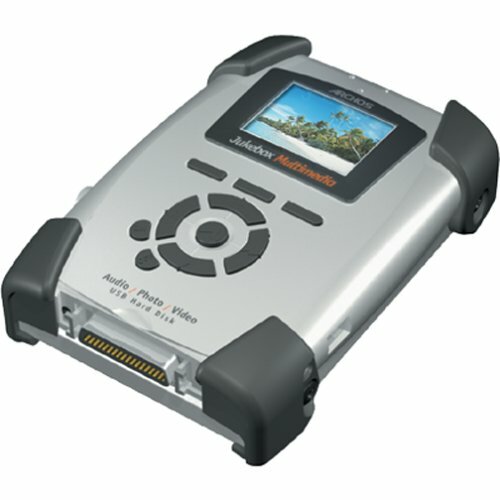 Watch videos and view photos on the large color LCD screen, listen to and record music, and transfer photos from your digital camera and data files from your PC. It features a TV Cradle, an external speaker for enjoying music and video without headphones, and a built-in Compact Flash reader for transferring photos directly from digital cameras. The AV420 has a 20 GB hard drive, which can record up to 80 hours of video content from a TV, VCR, or cable/satellite receiver using the TV cradle. It plays MP3 and WMA digital audio files (included protected files) as well as WAV audio. Once the TV Cradle is connected to a TV, VCR or cable/satellite receiver, you won't have to reconnect the cables again--just dock the AV420 and you're ready. The Recording Scheduler directly controls the tuner inside your VCR or cable/satellite receiver to automatically adjust the channel and record based on the time and duration of the schedule. The Scheduler will also synchronize with Yahoo TV Guide (where available) from the Internet so you can prepare your recordings for the week or month in advance. First off, let me start by stating that I am not rich.This was a major purchase for me.As a college student, I really had serious reservations about spending so much on an mp3 player and video recorder.But after having spent money on an ipod (which ended up flaking out on me after a few months) and an iriver h320 (which I do love, but I can't get its data file to update with my ibook and have a "tremendously" difficult time getting my ibook to recognize the iriver h320 as so many others have and not being successsful to get linux to recognize it without a lot of late nights), I decided to purchase the av4100.I didn't get the av420, since I have about 15G of music on my ibook.I didn't get the av480, since there are concerns in the reviews about the hard drive itself. I must say that the av4100 has been worth the price.I do have issues with navigating through the folders and files, but I think those issues will go away once I'm comfortable with the buttons.The av4100 is easily recognized by my ibook.I haven't tried it on a linux box yet.I have used the video recorder.It's awesome.I think the av4100 is well-built and well-designed.The only drawback is that it does not play mpeg4 files.I had to convert all my music files to mp3s.Very annoying.But overall, I'm happy with my very pricy purchase.I can see that this device will bring me lots of happiness. - The setup was a no brainer. 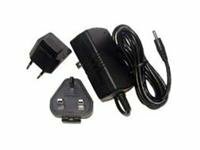 You plug it into your computer with the USB and the computer will automatically detect your new hardware and install all the needed software and drivers (since they're all in the ARCHOS device). - The TV/VCR/DVD recording setup and usage is really simple. However, if your DVD is copyright protected, you'll only be able to play it back on the LCD (it won't play on your TV or on your computer). - The sound quality is fine. The speaker can become really squeaky and coarse if you put it up really loud, but in general, the sound is not bad at all. - I haven't really used the photo-viewing ability, but so far, with the sample pictures that comes with the device, the photoviewer works fine. - The music player is really cool. The interface is exceptional and if you play on shuffle, it'll display what the next song in queue is. The only disappointment that I have with the music player is the playlist. It was a little confusing at first to set up a playlist and even after I made one, it didn't show up when I wanted it to. But after a little playing around, I figured everything out. - Lastly, I did have a freezing problem the 2nd day I had the device, but the manual (you can find it online) explained how to troubleshoot the problem, and after updating the OS (all new firmware can be downloaded through the Archos website for free), I didn't have that problem again. Thus, the Archos AV4100 is a great device and I definitely recommend it to anyone; it is well worth the price. Plus, I would get the 100GB version, because 20GB is just not enough when you're talking about videos that take up about 4GB each, and I wouldn't get the 80GB one because apparently it has some more flaws than it should. Also, is you want this for entertainment purposes, the 100GB model is the one for you. 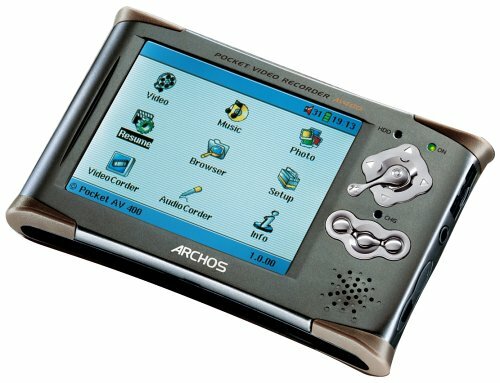 The Archos PMA430 (the palm pilot-ish/video/mp3/picture player/viewer thing) is a great innovation but it is really slow and there are still a lot of bugs with the software and stuff. I was gonna buy the PMA430, but after seeing the video on this site (http://www.archosfans.com), I realized that the palm functions of the PMA430 weren't that great at all. So if you really really want a palm pilot and an PMP/PVP all in one device, wait a while and see what else comes onto the market later on in the year. But if you want a stellar PVP NOW, Archos AV4100 is the one for you. Oh and the PSP is a mere TOY compared to the AV4100. Don't even try to put these two devices on the same spectrum! The PSP only comes with a 32MB internal memory, which means you can't put anything on it and to view movies on it, you have to buy those little disks that the player reads, which is costly and such a hassle to carry around if you're travelling. The Archos is so much better. That is unless you're a serious gamer. - Did I mention that it plays video! Best MP3 player, and plays and records movies and way more. The PMA430 is the size of a PDA but a little thicker.Not much though.It has a nice big screen, so the bigger size is worth it.And this is the only PDA you can buy at the moment with a 30 Gig hard drive.And the only PDA with built in video recording.So you can get videos on it without a computer.That makes things much eaasier. It has Wi-Fi, which I have used at my home to surf the internet from any where in my house.And I have connected to my companies Wi-Fi network at work. It is seen as a hard drive when you connect it with USB.So you can just drop files, liekl say MP3 fiels on it.And once you have MP3s on it, it will create playlists automatically for them.So it is very easy to play music.Movies are very easy to play too.And it automatically puts bookmarks in movies to mark your last position.Great if you want to watch a two hour movie but only have say fifteen minuites at a time. It also has built in photo viewer.I tried it with my 6.3 megapixel photos straight from my camera.No problem, and I didn't have to resize them. It also has the usual Contacts, calendar, to do, calculator, email, etc.And it can sync to Outlook. (I haven't used that though since I don't use Outlook). It comes with several games.And it can play the Morphun game standard for more games.And I expect mroe games will come otu for this, it is running a Linux version afterall.Since i mentioned it, soon they will release the software developers kit so that any one can create programs for it. As for video recording,w ell it comes with a dockign cradle.You can put teh PMA430 in it at 60 degree or 90 degree angle.The cradle has video and audio in and out and even has s-video in.Adn it has a IR Port on the front.The PMA ships with a big full size (TV style) remote control.Oh, did I mention the PMA430 can display on the TV?It can display full screen.So you can sit on the couch and watch a video fromt he PMA430.And the PMA430 can play and record at better then TV quality.I think 720 or 740 by something.Or of course you can go lower in resolution. You can also set up delayed recordings.So at 8PM you can record channel 13.And it has a IR blaster.With that you can set it so that at 8PM it changes the cable box or satelite dish or VCR, to change to channel 13.And of course once you have it, you cna fast forward through comercials. The built in Opera web browser is good for surfing the web.It will even format teh web page so it is single column so that you don't need to scroll sideways on the web page, just scroll down.adn it will change text size easily.You can switch between two sizes. Oh, and the unit is multitasking.That means you can listen to music and type a document.Or listen to music and view photos. etc. I have seen some say well this is just a PDA with a hard drive.They don't know about many of the other features.This does so much, I am sure I have forgotten some things. Any way, my review, well I love this thing.It does so much.In fatc I seems to learn new things it can do every day.For example just today i learned that the USB host port can supply power.Some one is using it to power one of those SIIG FM transmitters.So now he can listen to his MP3s on his stereo and he doesn't need extra batteries or DC power in the car.Gee maybe I will plug in a USB fan for the hot summer months. Negatives -Script -hand writing recognition - is poor at best. Touch function seems to work sometime and not work others, have not found a work around and have had to reboot several times. Ads say 120 hours of video, haven't done this yet, but from direct downloads of movies from DVD player to PMA 430, have17 movies on PMA, with roughly 65% disk space used. Believe to achieve 120 hours have to download movies to computer and then recompress using MPEG4 compression. On video player, left sidebar different from rest of machine, should be on right. Find that MUTE button works sometimes after shutdown and restart, other doesn't work and have to reset it. Touch interfacing seems to be clutzy. Owner's manuals less than informative... obviously written by an engineer and then translated to English. Many of items above can be fixed with firmware updates. Cables are like an octopus-too many- bought the traveling attachment to overcome this. WiFi and internet easy to set up andgood, PDA functions basic, very basic. Transfer of files from PC easy. Battery life not yet tested. For those that want to keep movies handy and for travel, this is a great device. Would make this a really super device with small video camera. That aside, I am quite pleased with this device.Right out of the box the weigh and construction of it felt right; some might find the 9.9 oz weight a bit hefty, but I prefer sturdiness over a light, plastic casing.And it looks sharp too, though I wish Archos would leave its 1970's tech school logo behind once and for all. NOTE:For whatever reason (read: to avoid crippling lawsuits), Archos has decided that once programming has been recorded onto your device, that is the end of the line.No burning movies to DVD.No transferring files onto a laptop or sharing with your friends.That is fair; intellectual property rights do need to be protected, but it is still bothersome to those of us who just want to back up some of our legitimate purchases. Now, not everything is good about this device.The PDA functionality is awkward at best, slow and unresponsive at its worst.The lag time between clicking an icon and the activation of the program (or even the expanding of a simple file tree) is slow and arduous.I must have clicked through a dozen applications because I though the screen had not registered my tapping. Also, the writing capture (when the PDA screen actually translates letters you are jotting down) is so poor it is nearly unusable.Maybe this will change with a Firmware update.Right now, I just use the integrated keyboard, or the optional rubber USB keyboard that you can roll up and tuck away when finished. UPDATE:Okay, I have had a little more time with the device and gotten somewhat used to its speed, and it is reacting much better now, so no more "POOR" rating.However, it is still a very clumsy, unintuitive PDA design. Simple and functional, complete with an equalizer (though a rather anemic one with only 5 sliders) and functionality that will automatically index your songs according to author, song title, genre, etc.This works well, but is nowhere as functional as a flywheel on an iPod, but still easy enough to use.I was also surprised to see that on legitimate MP3s you are frequently show the album cover along with the song. That's a nice little touch. The small front speaker is laughable at best.I cannot imagine anytime where it would be used, as it would annoy both the user and anyone around him with its mono, tinny sound.The sound improves greatly when headphones are used, and the ones that come with the PMA430 are good enough, if a tad uncomfortable. This was one of the nicest functions about the device.I already have a wireless network at home and locking into the signal was quick and painless.The PMA430 uses an Opera browser for surfing the internet and Microsoft Outlook for email.Again, both were easy to get set-up and running within 15 minutes.There is also support for wireless access through a cellular provider, but I have not tried that out yet. Decent.I am getting about 8-9 hours out of it purely as a MP3 player, and about half that if I am using the video playback or browsing the web (anything that involves the screen being on, really). A few problems here that were not helped much by the grossly inadequate PMA430 User's Guide, but I eventually stumbled my way through it.The PMA430 comes with a 2.0 USB hub, allowing me to quickly transcribe all my MP3s, video clips and pictures onto the device.With a few free downloads you can even have the device synch with your desktop copy of Outlook.There is an infrared port to beam informant, but sadly no Bluetooth support, which eliminates such novelties as wireless headphones and some advanced networking.Drat. Other problems with synching are minor but truly annoying.Every time I synch, the date and time change buy a few weeks/hours or more.I have no idea why this happens.Also, the Archos is supposed to work in synch with Yahoo! TV to allow you to set a schedule to record your shows.I am beginning to believe that there is actually no way to make this work. The software that comes with the PMA430 are useable enough, but I am eager to see what new titles will be released, and if there will be a Firmware update to handle some of the outstanding bugs I have noticed with the PDA functionality. The box says PMA430, but the unit says PMA400.Whatever you call it, it's amazing.It's extremely easy to hook up to the cable box and record TV shows.The quality is surprising.Also, no problems using the USB to download the shows to my computer and watch them using realplayer.Amazon shipped mine 2/23 and I got it the next day.Haven't encountered any problems yet! I have had the PMA400 (Amazon calls it PMA430) for about a week.It does what the manufacturer claims really well.I was able to connect to the internet, record form the tv (sattelite reciever), load and play mp3s, use the PDA functions, send email, store tons of files, etc. 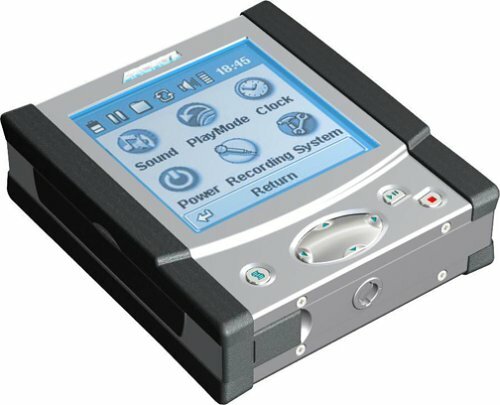 The PMA 430 is the swiss army knife of MP3\video players. The video display is very clean, smooth, and clear. The USB connection used to connect with the pc worked great. I was able to connect to my pc and exchange files with no problems. Battery life is exceptional - about 10-12 hours of mp3 play with out needing to recharge. I was also able to use the infrared port to exchange files from my pc. With the other USB port, the host port, you can attach a digital camera (to download pictures directly from the camera), keyboard, memmory card reader, etc directly into the PMA430.Keep in mind that not all products will be able to work with the PMA430, via the USB host port, since it uses Linux.You will need to find the appropiate drivers. Also keep in mind that it uses a mobile version of Linux, and not the full blown operatingsystem. 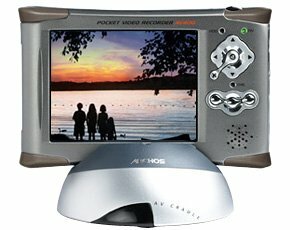 The 80 GB Archos Pocket Video Recorder AV480 is the ultimate handheld digital video recorder that offers TV recording and a portable home entertainment center in one pocket-sized device. Watch videos and view photos on the large color LCD screen, listen to and record music, and transfer photos from your digital camera and data files from your PC. It features a TV Cradle, an external speaker for enjoying music and video without headphones, and a built-in Compact Flash reader for transferring photos directly from digital cameras. The AV480 has an 80 GB hard drive, which can record up to 320 hours of video content from a TV, VCR, or cable/satellite receiver using the TV cradle. It plays MP3 and WMA digital audio files (included protected files) as well as WAV audio. Once the TV Cradle is connected to a TV, VCR or cable/satellite receiver, you won't have to reconnect the cables again--just dock the AV400 and you're ready. The Recording Scheduler directly controls the tuner inside your VCR or cable/satellite receiver to automatically adjust the channel and record based on the time and duration of the schedule. The Scheduler will also synchronize with Yahoo TV Guide (where available) from the Internet so you can prepare your recordings for the week or month in advance. This is the first MP3 player I have bought, and I have to say I have very mixed feelings about it. The video feature is awesome, and contrary to what others say is of rather decent quality for playing off an MP3 player. Encoding is a pain though, and its takes FOREVER, but the movies do work and look decent even on my 32" tv. Playing MP3s, the basic function of the player, can be pretty annoying. Playlists are extremely hard to create, and skipping tracks often results in going to far back or forward while the archos freezes to access the hard drive. However, sound quality is extremely good for an off-brand, right up there with Sony or any other high quality brand. And of course where else are you going to find 20 gigs of space for the price? The only real bad things about this player are the extremely poor battery life and battery meter (in reality lasts only a couple hours even with the lowest LCD/backlight settings), and the quality of the player itself (one of the buttons on mine has broken off, and it is no longer under warrenty according to Archos. I've seen alot of reviews on here slam the customer service and tech support at Archos. While they were unsuccessful at solving my USB drive problem ( then again it IS windows 98, so i dont really blame them) and they would not replace my button, I have called 3 times and always gotten a live person to talk to right away. I do beleive that theyre tech support and customer service has improved recently. Overall, if you are a tech-savvy individual who can deal with the Archos shortcomings, it is an amazing peice of technology, with capabilities no other product on the market has, for half the price of an Ipod. 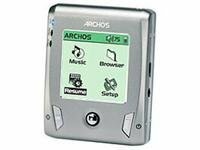 However, if you are a beginner, I would recommend a simpler product, even one of Archos newer model players, which are much more user-friendly. One last note: Archos will practically repair or completely replace your player for 85$ even if it is out of warrenty, not a bad deal considering the price they retail for. This thing is so cool. It is a portable movie player, mass storage device and music player all in one. It does other things if you buy the accessories, but by itself it's a marvel. It works well with Windows 98 and Linux without having to download some annoying troublesome musical file software, and speaks to the computer like an external hard drive. I have been putting hours and hours of mp3 music on mine and have barely made a dent in the 20GB hard drive. One word of advice that echoes other reviews; forget the little pamphlet flyer guide that came with it. It is so sparse, it's useless in several languages. Another thing, some reviewers have said you have to go through some convoluted menu button-pushing process just to adjust the volume. Not so! During play mode, the up and down keys below the screen perform this function, and the left and right keys navigate to the next higher or lower file. I looked at iPod and several other devices. My friend travels a lot, and takes most of his entire music collection with him with his Archos. I give it a thumbs-up. I bought this product specifically to drive almost cross-country. It was a perfect device for this. I was able to share photos and home videos with relatives I had not seen in a long time. I was able to listen to the 2000+ songs in my digital library during the drive. I could store my resume for job interviews and plug the device into nearly any computer and it was recognized as an external hard drive. Perfect, right? Almost. TOUCHING the device when not connected to a power supply killed it after less than 2 hours. It was better NOT TO FOWARD a song I was not in the mood for, but to just let it play. TOUCHING the device would mean that until it was powered up again, it was useless. Wish I had known that before a 24 hour drive, of course. But, at the worst, it is a completely recognizable external hard drive for space. At best, it is a fully functional multimedia device with many, many quirks. Features are only good if the unit works. Poor quality combined with even worse support. My Archos stopped holding a charge with about 3 months left on the warranty. I emailed. Then I phoned their tech support. Then I emailed again. 6 months latter they finally returned my messages. They refused to repair the device under warranty. They wanted to charge me $65 to repair the device. No way am I going to send it to them. I would probably never see it again. I am going to try and fix the unit myself. Take my advice: spend your money elsewhere! Might I suggest a Dell(support) or Apple(features). I know the Archos can do video, but don't fall into the trap that myself and so many other have--I've run across a large number of them in forums and websites. WARNING--IF YOU BUY THIS DEVICE DO SO KNOWING THAT YOU WILL GET NO TECH SUPPORT OR WARRANTY SERVICE! First off, I'd like to comment on the outstanding number of people who apparently have no lack of stupidity and continue to post reviews on here. The technology that goes into this product is absolutely amazing, and the engineering is very good. I know this from tinkering/expanding/fixing my previous Jukebox. As far as aesthetically, yes the paint DOES peel off rather easily from the back, and the serial number fades away quickly, and player is rather heavy for its size. However, if treated correctly and used by people with brains and a little bit of intelligence, this machine will last for years. The hard drive: a 1mm thick extremely-highly polished metal disc. It is read by a head that moves over it only a FEW MICRONS above the surface....sometimes 50 TIMES PER SECOND if the drive is working fast. NOT a good idea to drop the thing, so keep it in the provied case, or buy a better one. The battery: Lithium-Ion speially designed battery. Apparently someone of lower intelligence tried to find the "batteries" in the player and replace it. It should last the life on the product and cant be replaced. Another note: KEEP THE PLAYER OUT OF COLD WEATHER!!! Li-Ion batteries lose their power very quickly in temperatures below 45F...its nothing wrong with the player. Yes, the battery meter has some flaws, but if you don't record like crazy it should last a few hours. The computer interface: If you love slow transfer programs that are loaded with graphics and take up extra space on your computer, do not buy this product. But an iPod or something else because with the Archos you just drag and drop your music/data/videos/documents/ whatever onto the hard drive for storage. Monkeys have been trained to do it. Seriously. The headphone jack: Please people, just be careful with this. The jack is about the size of a fingernail and is probably the most abused mechanical part on the player. THe menus, etc on the player: It is self explanantory! Thats why the thing is so graphic. And yes you can change the colors of the display (I agree...the yellow is gross). In the Settings menu, just choose....are ya ready....ya sure......? COLORS!!! You must be joking to tell me that you can not find that. 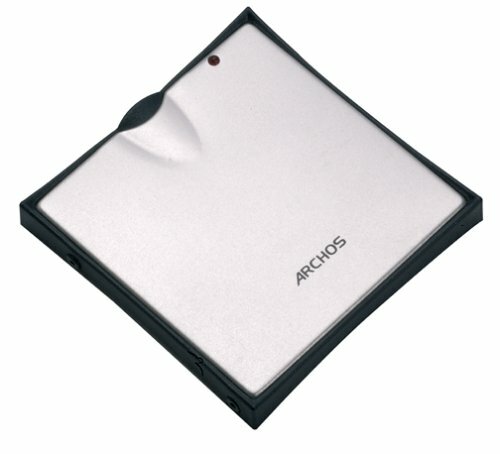 I selected the Archos on the basis that I could also use the unit as an external Hard Drive. 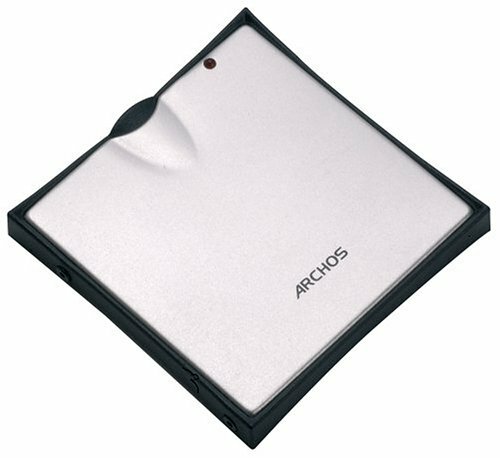 For the price, the Archos GMini 120 gave the largest hard drive capacity when compared to the iPod and the players from Dell and Samsung. I had no problems with the unit being recognized by Win XP, and I upgraded the unit's system software from v1.2 to v1.5 with no difficulty. The controls and menus are functional and logical although the buttons are slightly hard. My player runs 8.5 hours on a full charge, but I get occasional error messages during the last half-hour of use when playing WMA music files (it says there is something wrong with the file). The included ear buds are good, but I prefer my Sony ear buds which give a richer sound. Fit and finish is adequate. The hard drive inside is extremely quiet. I am not interested in the extra cost features so that has not been a problem for me. Overall, this has been a happy experience so far. You know, some of the criticism here is warranted. But a lot isn't. I honestly don't know how you can blame Archos if you don't bother to actually read up on the product? No, it does not come with a photo wallet or flash card reader. That is on the order of $50 extra (quite reasonable in my opinion). And I don't know how anyone could say the Gmini is anything but a huge upgrade from the Studio20. My goodness, for USB 2.0 alone it's worth it. My experience: I have had mine for about three months now. I use it every day, and I have yet to experience a single problem with it. 1) The navigation functions/layout are 10000 percent better than the Studio models. The larger screen, navigation buttons all make it much, much easier to find the files/music/whatever you are looking for. You can very easily navigate around your machine, rename, move and delete files without having to be connected to a computer. 2) Battery life is good to great compared to similar units. I get 6-7 hours minimum, which is pretty darn good. That's what my pal gets from his iPod, so I'm pretty happy with that. Archos implies an "up to" 10 hour battery life, which I think is pretty inflated. 3) The Music Match software works quite well with the unit, though if you don't have USB 2.0, you will end up dragging and dropping files the old fashioned way. For some reason, it takes Music Match four or five times longer to move files to the Archos when you use the built-in function to do that. 4) The fact that you can mount it on any system without installing a driver is huge. I can bring it to work, and mount it on my local machine without having to get the IT staff to add drivers to my 'puter. I use it to move large files from home to work and back, and in that capacity it works just great. 5) Unlike just about anything else on the market, the archos is expandable. I have not purchased any of the add-ons, but it is nice to be able to add functionality like that on an as-needed basis. 6) Cost. The Gmini is still less than $250, which is just a little more than the Studio 20. Dirt cheap comparatively. My friend spent $300-plus on a used iPod, which doesn't have as much space or any of the features my Gmini does. 1) Unlike other Archos models, the Gmini has built-in music library software that (in theory) allows you to select and play songs, artists or albums without creating playlists. Unfortunately, it relies on Music Match to build the library database. So, if you don't use Music Match to move you MP3 collection to your Archos, you basically cannot use the library function. 2) This may be an issue just with my person unit, but the "up" navigation button is not as responsive as the others. It's not a huge issue, but I thought it might be worth mentioning in case others have problems. The bottom line is this: The Gmini is a more-than-adequate alternative to an iPod, especially if you want it to do more than play music. For my personal needs, it's great to be able to cart around my photos, data, files, music, etc. on a pocket-sized machine I can whip out and mount on any computer I come across. I couldn't be happier. Just what I wanted - Works Great! This gear is perfect!!! Huge screen, tons of info on the screen, and it looks tight. Plus you get AV cords to plug it right into a stereo receiver, so I can get a thousand watts behind my Gmini on my surround sound. YOWZA, couldn't ask fo' a betta unit. I've had mine fer 'bout 6 months, no complaints. Buy it, love it, nevva leave wit out it! Holla at cha girl. I've had my player for a little over two months now. The only time that I've had any troubles with it was when I accidentally put all of the music into the home directory of the player (it's supposed to go in the /music/ directory) which caused it to crash. That was easily fixed; I simply cut and pasted the files from the home directory into the /music/ directory. Upgrading is easy. Simply download the latest update from the archos site (http://www.archos.com) and follow the directions that they give you on how to install it. And as for the battery life, I've had mine last for a little over a total of 10 hours. The buttons work fine and I haven't had a problem with them. As for features, it doesn't have the most, but it has enough to keep me happy. It has randomize and repeat, an equilizer, very good sound, easy and fast file transfer, ability to choose up to one song ahead of time (while not in playlist mode), bookmarking to start where you last left off, ARCLibrary feature that allows you to browse by artist, album, title, genre, and even playlist, and many more things that I can't think of. Quickly add a hard drive to your PC or Mac for back ups. 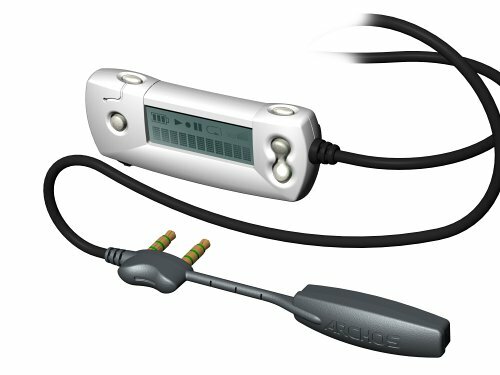 USB 2.0 interface (USB 1.1 compatible). I was in the market for a portable drive when I found this beauty. In addition to a solid, rugged build, it's also quite simple to use, not too hard to look at (can you say techno fetish? ), and fast enough. Perhaps it lacks the performance and space of a 160gb external that's the size of a dictionary, but for me, the portability means utility. I can use it more if I can lug it around effortlessly. I also looked at creating a portable using a 2.5" laptop harddrive with a pre-made enclosure, but decided that you didn't really save that much more by making your own. And those were still about twice the size of this drive, which is based on the 1.8" Toshiba drives that are used by the Ipod. 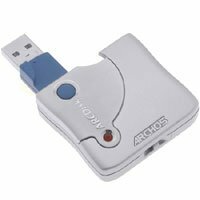 One improvement I could see Archos offering (other than a larger size) is firewire connectivity. But if that increased the size of the drive, then I'd opt to stay with USB. I bought this hard drive to use as offsite backup for my home PC. I basically take it to work and leave it there, and it saves me from having to burn a dozen CD-roms. I use Drive Image 7.0 to create automatic backups to an external usb hard drive that stays connected at home. I then quickly copy the backup file to the arcdisk (15 minutes for about 7GB) and take it to work. It's so small and portable, I really like it. As far as the drive itself, there's not much to it. It didn't need drivers for Win2K, and was really plug and play. If you're going to use it for large backup files, like I do, you'll need to reformat it from FAT32 to NTSF so that it will accept large files (over ~2GB). Also, depending on whether your usb ports are powered or not, you may need to use the included power cord. I thought my usb ports at home were powered, but I was getting strange error messages from Windows, telling me that I was out of available ports. Once I plugged in the power cord, this error went away. At my office, the arcdisk needed no power. The usb power from the main motherboard port was enough. This is why I'm giving it 4 stars (doesn't work on all usb ports without adding power from its separate power cord). This is a great buy considers the amount of storage you get as a MP3 player and as a portable hard drive. The size of this unit is compact enough to fit in a pocket for easy carrying around. It produces high quality sound provided that you use a high quality set of head phones. You can manage your of collection of songs and data easily via your PC by using the familiar windows explorer. The USB interface setup is quite straightforward and I was able to get it up and running within a few minutes. There are quite a few things which I would consider as less than perfect. First of all, the user manuel is poorly written. Many valuable information is missing (most of it can be found, however, in the Archos support FAQ site). The battery compartment door is poorly designed. If you follow the manual's instructions to pry open the cover with a screw driver, chances are that you would damage the plastic surrounding it. However, you could easily open the battey compartment door by graping the 3 notches on the side of the cover with your fingers and lift it up. 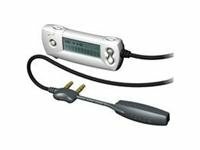 The control of the features on the MP3 player is mainly done by scrolling through an on-screen menu, which would be less convenient than having a separate dial control for the volume or for searching. However, there are many great features on the menus which allow you to control the sound quality and songs play back. The unit does not allow recording even though a line-in jack is provided. If you want to delete songs on the player, you would need to do it through the windows explorer on the PC. I have also tried to backup about 1.5 Gbyte of my work data. The unit ran into a few underrun problems and that not all files were backed up. I found out later that the problem was caused by low batteries voltage. You definitely should connect the charger to the unit for data backup. When you disconnect the jukebox from the PC, I strongly recommend that you use windows to eject the hardware (for windows 98, click on My Computer; right click on the drive icon; then click Eject) rather than simply unplugging the USB cable. I suspect that many people who complained about hard disk errors did not follow this procedure. Anyway, this unit deserves a 4-star for the convenience of being able to store thousands of MP3 songs in a box and being able to use it as a portable hard drive. Warning: Good product, but be prepared. 1) This unit DOES NOT record from any source. The only way to load music is plug it in (USB) to a computer and drag-drop your MP3s. 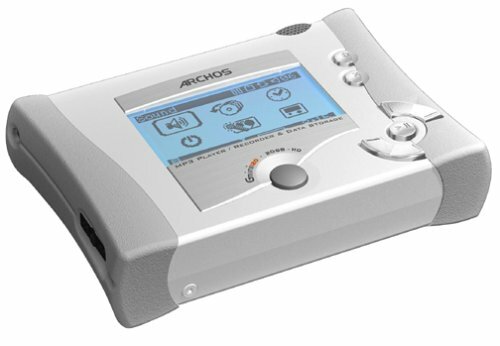 The Archos Jukebox RECORDER 20 will record from any line source but the STUDIO 20 does not have onboard encoding. If you want the Recorder you have to pay extra. 2) The manual is the worst I've ever seen. Extra help has to be found on-line, but most of the controls seem very intuitive to me, so I've not read too much yet. 3) It doesn't do well in heat (direct sun for long periods) and it heats up _a lot_ when charging. I'd suggest you unplug it after about 4 hours. 4) You can't create playlists on the unit. The accompanying MusicMatch software allows you to create and transfer playlists... but it's not the easiest to use. And last - the screen (11 or 12 characters wide) makes reading filenames kinda hard. Keep your track names short or else you will have a heck of a time browsing your library! All in all I'm in love with it and, as I said, it comes with me everywhere! serves its purpose quite well but install Rockbox. I've had this player just over 2 weeks now and so far it has been working well. The batteries actually lasted the claimed 10 hours. That was amazing in and of itself. Set up was no problem and loading up the player was very simple. That was the main reason for purchasing this - that it was a plug-n-play USB drive. No stupid MusicMatch software. Just drag-n-drop. I can use it to transport non-MP3 files between computers when I travel. 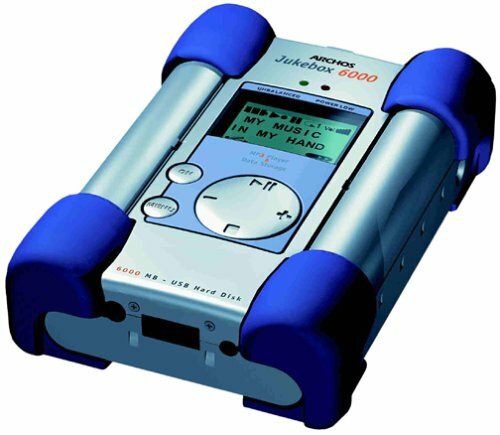 A thousand thanks to the one reviewer who suggested replacing the firmware with Rockbox! Rockbox rocks! I used the pre-installed firmware for a day and replaced it immediately with Rockbox. It added much more flexibility and even programmability (you can even change the WPS display). One major advantage - the Archos firmware limits playlists to 999 songs. Rockbox allows something like 14,000. I already have 2500+ songs loaded so the Archos firmware simply couldn't handle it. Odd given the purpose of a hard-drive jukebox. Rockbox gives you oodles more menu options and controls and is easily installed or removed. As far as the hardware itself, the controls are the most counter-intuitive design you could possibly imagine. There is no volume control. You have to go through a menu to change it (I couldn't get the shortcut to work with Rockbox and the shortcut still requires 2 hands) so make sure you buy headphones with a volume control. Also, everything in the display scrolls up and down, so why Archos chose to use the left/right buttons to scroll instead of the up/down buttons is beyond me. Talk about vertigo. I continually press up/down which sends me to all sorts of menu levels I didn't intend to get to. I recommend this unit with the following caveats: Don't expect iPod flexibility/useability, install Rockbox and get some decent headphones with a volume control. For the price, it can't be beat. I bought this on the recommendation of a friend. I should ask if she still has it and if it still works. The first unit I bought lasted less than a week before the screen displayed "Hard Disk Error." Following the manual to recover from the error was useless. Luckily, I was able to exchange it at the store (Compusa) for the second unit. The second unit lasted several months of on-again, off-again play before it also died the same way: in mid-song, no warning. I'm not going to bother a third time. If all MP3 players function like this, I'll buy whichever offers 2 hours of music for the least money so I don't feel the pain of throwing it away when it, too, crashes. With both units, the nebulous Hard Disk Error showed up not long after I uploaded a group of songs (last time, 90 files using MusicMatch Jukebox's export feature). Also, I was playing the selected folder on random. After that error showed, nothing I did could revive the unit. It would start, but not go beyond the Jukebox Ver: 5.08 screen. Now it's an attractive-looking high tech paperweight. I used both units exclusively at my desk. That is, I did not take them out while running, and I kept moving them while they were playing to a minimum. The design of the case makes exchanging the batteries insanely difficult, which is frustrating as the unit goes through batteries fast. If you are going to purchase one of these units, do not pay full price. If you do, buy the "extended warranty" or "product protection plan" from the store. That way you can have them replace again and again for less money. Seems like a great little gadget and it would be, if it worked. It worked for the first few months I owned it. Started having all these problems with it and ARCHOS replaced it under warranty. The replacement then worked for a few months and is now doing the exact same thing as the original one. 20. 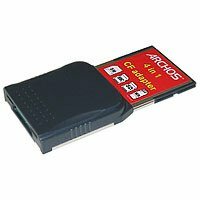 Archos, Inc. 500455 Drive, Arcdisk, 20GB 1.8"